Couldn't very well wait on these two, could I? I've read exactly one book by each of these authors and I have loved, repeat: loved, them both. 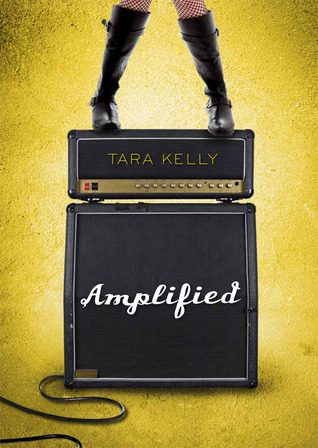 Tara Kelly's Harmonic Feedback and Stephanie Perkins' Anna and the French Kiss were among my very favorite books of last year. Contemporary YAs, both of them, they featured such real protagonists in such messy situations. As well as two of my four favorite Nice Guys of YA from last year. *happysigh* This fall is going to be a good one. Jasmine's always wanted to make it big. So when she gets kicked out, she does the only sensible thing and heads to Santa Cruz to convince some musicians to let her move in with them and join their band. Though she may sound a far cry from quiet, contained Drea, I'm pretty sure I'm going to dig Jasmine and her story. I'm already madly in love with her cover. Lola--she of the exceptionally awesome purple wig--is pleased as punch with her life, thank you very much. That's why she's so displeased when the Bell twins move back in next door and mess with her carefully laid plans. Especially that pesky Cricket Bell--the boy next door. Note the San Francisco row houses in the cover above. Let's see . . . who else do we know from this world who's got connections in Frisco? I loved Anna and the French Kiss, I can't wait to read Lola and the Boy Next Door. The cover is so cute and I'm so in love with her purple wig. Lola's voice reminds me of Anna, September looks ridiculously far away now! :D Love the cover for Amplified too, Jasmine sounds like a great heroine! I'm extremely excited for both of these! Can't wait to read Lola! I'm so glad the cover and the synopsis have been released. I'm obsessed with Anna and the French Kiss. I think I've read it like 4 times already in the last few months! It's ridiciulous. Can't wait for Lola and the Boy Next Doo. Looks so great! Want! 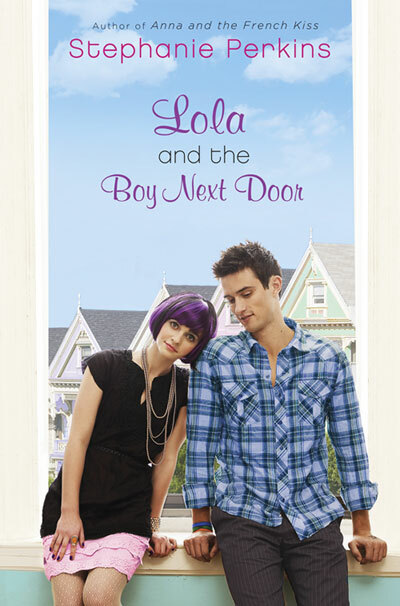 I love that cover for LOLA - so cute. Although I still need to read HARMONIC FEEDBACK, it seems a winner.